four per room is available in the Aglow block. Deadline for reservations March 17, 2014. There was a mix up at the Marriott Hotel by an employee that no longer works there. He did reserve the 45 rooms asked for but at present all the double queens are gone. You can still reserve Kings with sofa sleeper and King rooms. 3 comfortably sleep in the King/sofa room. 4 of course could especially if you are bringing youth. I am so sorry for this mistake. However, good news. I was able to secure 18 - double queen rooms at the Holiday Inn Ft Hood for the same price. reservations now before they are taken. Sandy Newman and DeeAnn Ward, a dynamic team, serve as President and Vice-President of Destiny Ministries as well as co-pastors of a growing group of committed worshipers at The Gateway Prayer House. Based out of Arkansas City, Kansas, this ministry team travels across the United States and abroad. 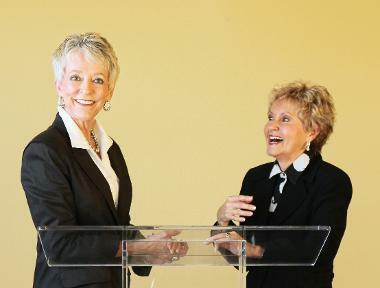 Sandy and DeeAnn are co-founders of the statewide prayer network, “Govern From The Heart." This organization of prayerful men and women is committed to the cultural transformation of Kansas. 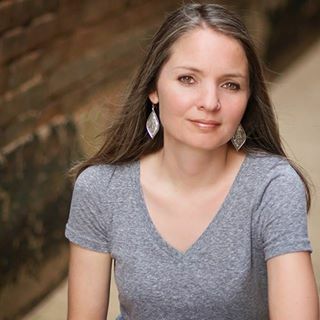 Jamie Lipe lives in Cross Plains, TX and serves as worship leader at Living Water Ministries. Her passion is God’s Presence and leading His people into a deep place of intimacy while standing as priests before Him. Her desire is to stir a hunger in God’s people to cry out for purity and holiness, seeing a generation of no compromise come to the forefront. Through the ushering in of the presence of God and making Jesus the center of all our attention, Jamie believes we will finally see the restoration and awakening of the Church and this generation we are contending for. The longing of her heart is for wisdom, revelation, and understanding of the heart of Father God and of the unseen dimension; to live as one who is “Seated in heavenly places”, and from this place release the prophetic worship, intercession, and legislation that will shift and move into alignment all that is out of order. Above all, her heart is simply to be a true worshiper, giving pleasure and satisfaction to the heart of God. #3 Call Hotel to Reserve a Room!